A pressure cooker appeared under our tree. Experimental kitchenware. Courtesy of the Jolly Ol Fat Man Himself. The Bride didn't trust it. Thought it would explode. Wanted to send it back. To the North Pole. Your Humble Narrator, however, saw his opportunity to shine! 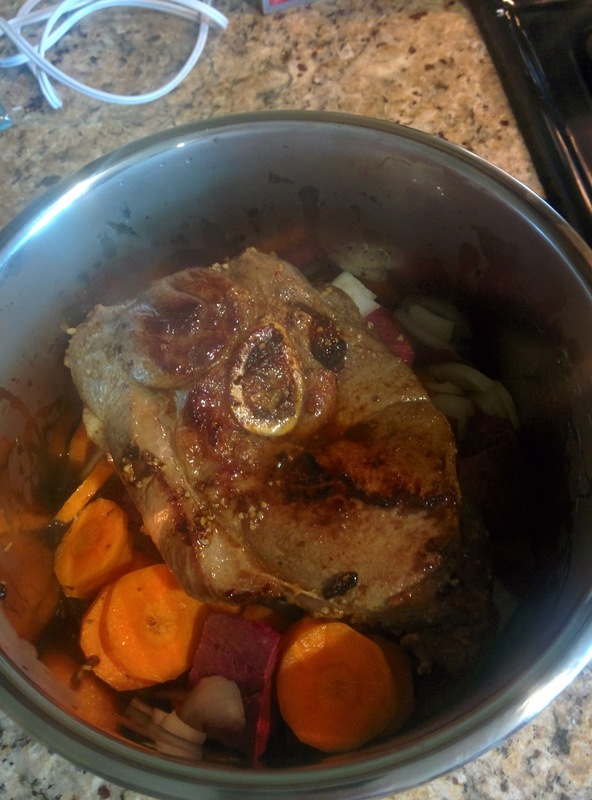 Normally, when a fine fine McDougal Roast is crafted, it spends eight hours in the crockpot. On this glorious day, the total cooking time was a mere forty minutes. Roughly 10% of the normal endeavor! And it came out every bit as succulent and tasty as the traditional method. Actually, we should have cooked the meat for the first 10 minutes, by itself, and then added the veggies for 30 minutes. The carrots and onions were SUPER tender, but the poor sweet potatoes ended up as mashed potatoes. The Bride cobbled together some bacon & green beans as well as a batch of rice. Mom brought Dad and a carrot cake. And we all feasted. 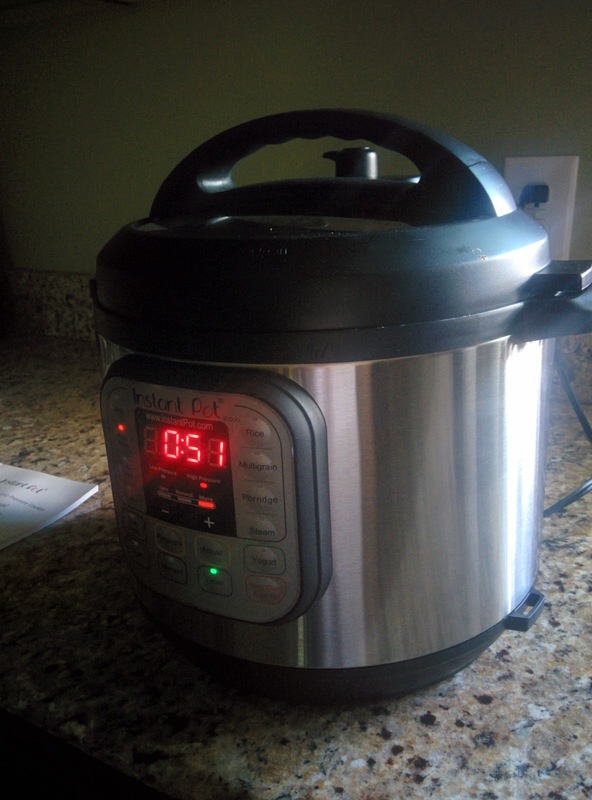 Wonderful contraction, this new pressure cooker. New recipes must be discovered! And we're all happy nothing exploded. Except our taste buds. And there're more to come.